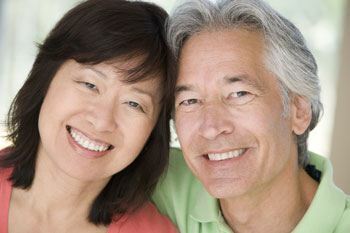 The purpose of restorative dentistry is to help patients restore their smile's health, functionality, and appearance. To do that, Dr. Givan offers a range of services that are both popular and effective. With any patient in need of restorative help, we'll make sure you receive personalized service. Whether we're treating a cavity, placing a crown, or replacing a tooth, we'll follow a treatment plan designed just for you. Dr. Givan will create that plan based on the results of a thorough consultation visit and a conversation with you about the results you're looking for. Tooth-colored fillings are made of a special material known as composite resin and are used to treat cavities. Unlike traditional fillings, they're not made of metal and they don't have a dark, unattractive color. Instead, we can shade them to match the rest of your smile. Tooth-colored fillings are also more supportive than traditional fillings, and they can last for just as long. Using a custom-made crown and bridge, Dr. Givan can help you replace a missing tooth. Made up of a replacement tooth and two abutment crowns, your bridge will literally bridge the gap in your smile. A crown and bridge appointment takes at least two visits but will result in a complete, healthy smile. If you're struggling with an infected or abscessed tooth, our Fort Worth office can provide the help you need with a root canal. During a root canal, Dr. Givan will remove your tooth's nerve and all traces of infection, and then fill it with a safe, biocompatible material. At the end of your procedure, we will attach a crown to protect your tooth and restore its functionality. This versatile service can help patients who are missing one or more teeth. Unlike traditional bridges or denture, dental implants mimic nature's own design for long-lasting results that are much sturdier. Do you need help restoring or repairing your smile? Give us a call to schedule an appointment with Dr. Givan. We're happy to offer general, cosmetic, and restorative care to patients in and around Fort Worth.